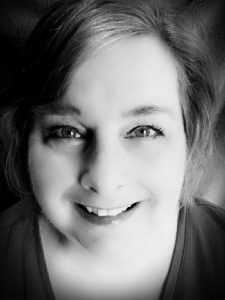 Welcome, Harlow C. Fallon, to BOD’s author spotlight interview. It’s so fun to have you. Can we start right off with you telling all of us at BOD a little bit about yourself? Thanks so much for the opportunity, Angie! Let’s see…a little about myself…Well, I’m enjoying a “retirement” of sorts. I’m a mother to five grown children, all with their own families now, some with their own kids (five grandchildren and counting). My full-time job for the past twenty-five years or so has been homeschooling. But I have a degree in English and Art with a concentration in Creative Writing. I put all that aside to raise a family and homeschool them. Now that I’m an “empty-nester,” I’m excited to be writing again. It’s been so fun to be a part of BOD with you from the beginning. Can you tell us how you came to be involved with BOD and what you like most about it? Little did I know when I first joined BOD a year ago that it would become the crazy, wonderful group it is today. My friend and fellow author Chrystalla Thoma was the one who introduced me to the group. She and I had been friends on another site, Critique Circle, since 2009, so I was excited when she invited me to join BOD. I knew right from the start that I had found a special place. Everyone is so friendly and supportive. The camaraderie is unlike anything else on Facebook. I love everything about the group. You and Cheer and ER are amazing in how you’ve cultivated an environment where everyone can feel encouraged, loved and supported no matter what. I’m not always as active as I’d like in the games and launch parties, but the great thing about BOD is that you can be just a little involved, or very involved – no matter what, it still feels like home. BOD is a great place! I’m so happy to be a part of it as well. What can you tell us about your writing journey? When did you know you wanted to be a writer? I’ve wanted to be a writer since I was about ten years old. I’m also an artist, as most writers are, so I always struggled with whether I wanted to write stories or illustrate them. I also dealt with ADD as a kid (and still do somewhat as an adult), and so I often got distracted and lost interest in my writing, rarely ever finishing anything. In college I pursued creative writing, then went on to earn a Master’s degree in seminary and found an outlet for writing there through the seminary magazine. As I already mentioned, raising a family took precedence for the next several years, and it wasn’t until 2009 that I finally found some time in my life to pursue fiction writing. That’s wonderful! I’m sure your life experiences as a mother and grandmother have shaped the writer you are. Did you have a favorite book or series you loved when you were a child or a favorite author that has influenced your writing? I’ve always loved nature and the outdoors, so any books on that subject really caught my attention. My favorite book as a kid was Island of the Blue Dolphins by Scott O’Dell. I also loved My Side of the Mountain by Jean Craighead George. Later I discovered science fiction and I was hooked on that genre. I remember reading Alas Babylon by Pat Frank. It was my first taste of post-apocalyptic fiction and it blew me away. Then I discovered Ray Bradbury. I devoured everything he wrote. I began to pay attention to his writing style, how he composed sentences, what he did that made his stories so absorbing. I wanted to write like Ray Bradbury. I also loved Frank Herbert. Dune is one of my all-time favorite novels. Those two authors probably influenced me more than any other. Island of the Blue Dolphins was one of my favorites as well. And I’m so glad you became interested in sci-fi. I loved “All the Wild Places: The Elmwyn Journey, Book 1.” It’s such a perfect sci-fi/fantasy adventure story. Can you tell us a little bit about where you came up with the idea for this story and what readers can expect in Book 1? All the Wild Places came from an idea that had been floating in my head for a while. It began with a weird question: How would I react if I found out my father was from another world? Crazy questions like that pop into my head all the time. What if…this, or what if…that. So I started writing a few paragraphs, which sparked more what ifs and led to more of the story. Everyone who’s read both books has asked me, “How in the world did you come up with all that stuff?” I think my head is just wired a little differently. 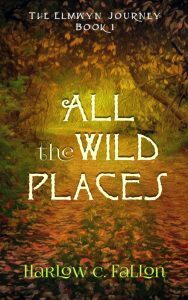 All the Wild Places is about a young woman who discovers her father is not from this realm, but from another realm called Elmwyn. All along she believes her father is insane but when two men show up with an outrageous story about her father, she’s forced to face a completely different reality. She ends up traveling to Elmwyn, and both books tell her story, her journey in that realm. 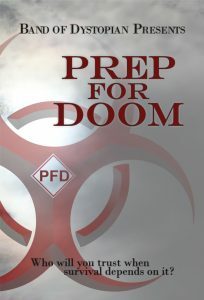 What can you tell us about your involvement with Prep For Doom? What was it like being a part of such a collaboration? I loved my involvement in the Prep For Doom anthology. I wrote my story fairly early on, as the idea for it had formed in my head almost as soon as the announcement was made that there would be an anthology. The interaction with the other authors made it a wonderful experience. We all shared our ideas, snippets of our stories, our thrills and our worries, and as it all came together it only got more exciting. That’s what I’ll never forget about Prep For Doom. ER Arroyo was amazing in how she kept it all organized and kept us pushing forward, and Sara Benedict did a great job editing some of the stories too. What else would you like us to know about your writing? What can you tell us about book 2 in The Elmwyn Journey? Are you currently working on any other writing projects? In Book 2, The Reach of the Hand, Sulee’s journey continues in Elmwyn, and she finds herself facing challenges and the worst experiences, things she never thought she could endure. It’s really about her finding her own courage, about being able to look fear in the eyes and without backing down. She learns a lot more about the realm of Elmwyn, but most importantly, she learns about herself and her place in this new world. It’s not always pretty. Outside of my Elmwyn Journey novels and the Prep For Doom short story, I also have a short story coming out next month in the Future Chronicles anthology series created by Samuel Peralta. My story will be appearing in the Immortality Chronicles. I also have another short story in an anthology coming out later in the year, but it’s currently top secret, so for your own protection, I’ll have to leave it at that. You mentioned that you’re an artist. So, I probably already know the answer to this question, but if you weren’t a writer, what would you most like to be to express your creativity? What other hobbies or talents are you interested in? Without a doubt I’d be an artist. I love to create art using a variety of mediums, and it allows me to get really weird if I want. I also love making jewelry. Outside of that, I love learning about edible wild plants and medicinal herbs and their uses. I figure it might come in handy when the zombie apocalypse hits. What’s the craziest thing you’ve ever done? What’s on your bucket list of things you still want to do and hope to do soon? The craziest thing I’ve ever done was catch water moccasins as a kid. I used to pry open their mouths and stare at their fangs. What was I thinking?!? How did I ever manage to do that and not get bitten?!? My guardian angel must have been working overtime! He probably retired after that. I never told my mom about my snake encounters until about ten years ago, and I swear I saw her hair turn gray right in front of me. But I confess, I still love snakes. As far as my bucket list, I’d love to see the Grand Canyon, and I’d love to do that as part of a road trip across the US. I live in Michigan and my brother lives in L.A. I’ve always wanted to drive there, just to experience the parts of the US I’ve never seen (and also because I hate flying). I don’t know if that’s ever going to happen, but a girl can dream! Yep! That’s crazy. I hate snakes, so that pretty much sounds like torture. But the Grand Canyon? You totally need to do that. Thank you so much, Harlow, for spending time with us at BOD and for sharing yourself and stories with all of us! Thank you very much for having me, and thank you for all you do to make BOD such a fantastic group. Harlow C. Fallon grew up in a home where reading was always encouraged. With an artist father and a librarian mother, Harlow’s love of literature and art blossomed and flourished. She cut her teeth on the complex fantasy worlds of The Wizard of Oz and Peter Pan, and later fed her imagination a steady diet of Edgar Allan Poe, John Wyndham, Ray Bradbury and Frank Herbert. Today, her imagination continues to thrive. She channels her energies into writing, fueled by the curiosities of the world and the mysteries of the universe. Science fiction and fantasy are her genres of choice. Harlow and her husband have five grown children, and have made Michigan their home for the past fifteen years.